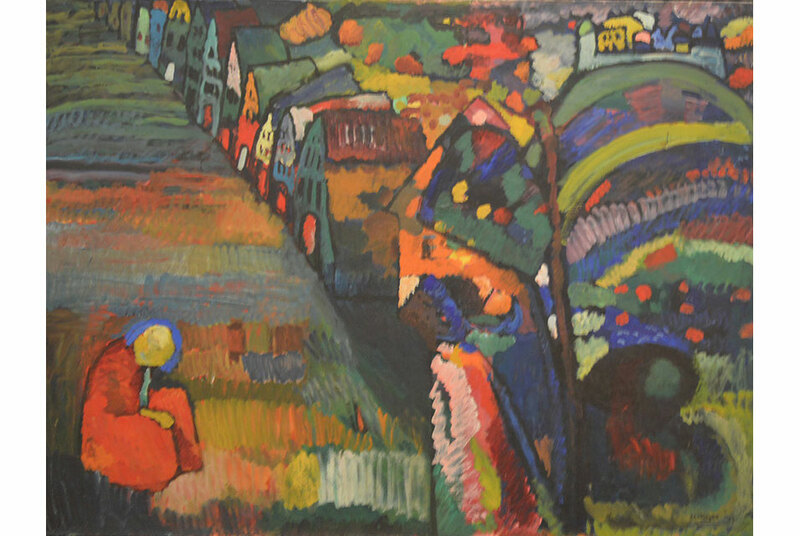 Wassily Kandinksy, Bild mit Häusern, 1909, collection Stedelijk Museum Amsterdam, c/o Pictoright Amsterdam. AMSTERDAM.- The Restitutions Committee has just issued a binding opinion about the application for restitution of the work Bild mit Häusern (1909) by Wassily Kandinsky. This oil painting is in the collection of the Stedelijk Museum Amsterdam. The Stedelijk bought the painting on 9 October 1940 at the auction of Frederik Muller & Co. in Amsterdam. Heirs of previous owners of the work sought restitution of the painting. In late 2013 the City of Amsterdam, the Stedelijk Museum Amsterdam and the heirs, represented by their lawyer, requested the Restitutions Committee to issue a binding opinion on this work. Over the last twenty years, Dutch museums participated in the national research project led by the Netherlands Museum Association (NMV) into the provenance of works of art produced before 1945, which were acquired by collections since 1933 under suspicious circumstances. These cultural artefacts may have been looted, sold under duress, confiscated, or acquisitions of dubious provenance that took place before or during the Second World War. Since 2013, the outcomes of the museums investigations have been published on the website www.musealeverwervingen.nl. The Stedelijk, and the Municipality of Amsterdam which owns the collection, value transparency concerning the art in its collection and, in 2015, produced the exhibition and publication The Stedelijk Museum and the Second World War which explored this topic ( 29,95, ISBN 978-90-593-7404-1), as well as a mini documentary on this research project. Of the almost 4,000 works in the Stedelijk collection that fell within the remit of the research project, 15 works were identified as having a potentially questionable provenance, or may have been wrongfully obtained from their rightful owners in the period 1933 to 1945. This relatively high number is also due to exceptional circumstances: the Stedelijk was the first museum in the Netherlands to have a bunker in the dunes near Castricum to safeguard its collection during the war. Other museums such as the Rijksmuseum, Frans Halsmuseum, Boijmans and the Lakenhal, also stored work there for safekeeping, as did private collectors. In total, the bunker temporarily housed over 500 collections. The inventory lists, which were often handwritten, are incomplete; to protect artworks belonging to Jewish collectors from confiscation, former curator Willem Sandberg removed indications of ownership and destroyed or hid the accompanying documentation. As such, its possible that the museum may have no clear records of how and when certain art works were acquired because they were owned by Jewish collectors who entrusted the works for safekeeping, and failed to return after the war.